Nobody will blame you if you are seeing double. 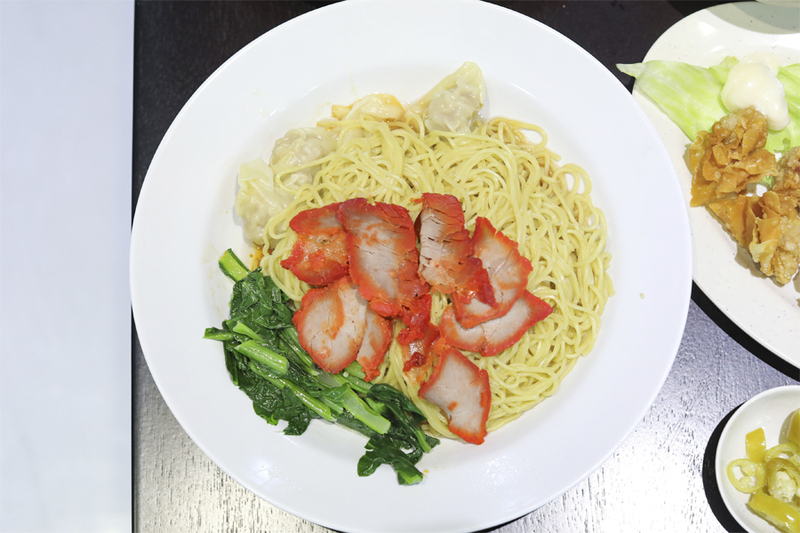 ENG’s Wantan Noodle on 287 Tanjong Katong Road, versus Eng’s Char Siew Wantan Mee just across the road on 248 Tanjong Katong Road. 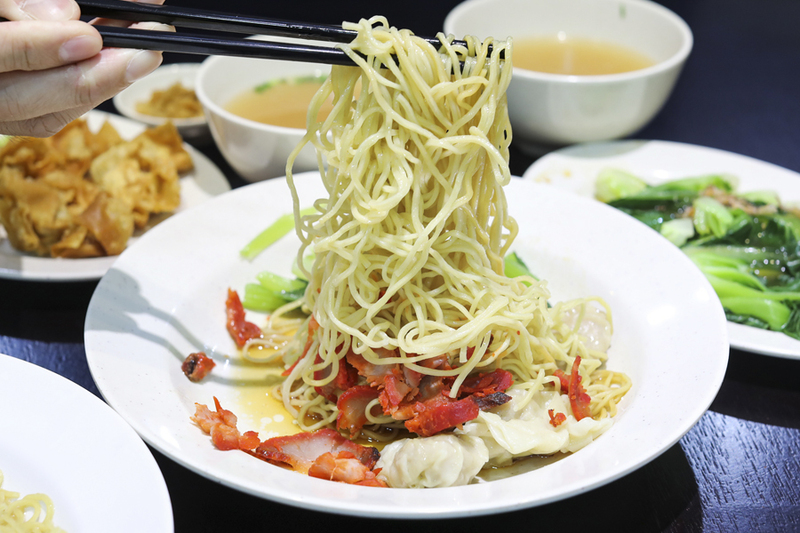 Interesting, many rival food stalls are always close to each other, especially in the case of Wanton Mee – think Old Airport Road’s Hua Kee and Cho Kee; and Hong Kong’s Mak’s Noodles and Tsim Chai Kee. A case of keep your ‘enemies’ close? I won’t go into details of the ‘drama’ for Eng’s. 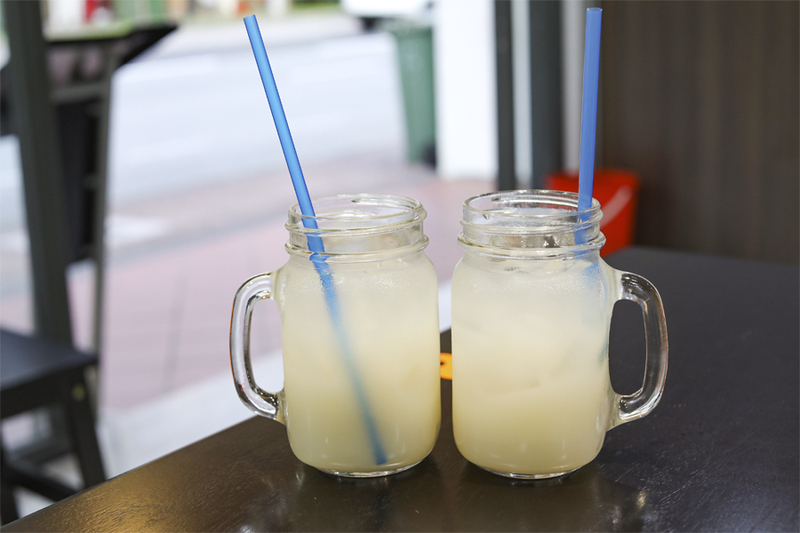 Long story short: There was a famous wanton noodle stall at Dunman Food Centre known for its fiery chilli sauce, that subsequently opened a shop on 287 Tanjong Katong Road. 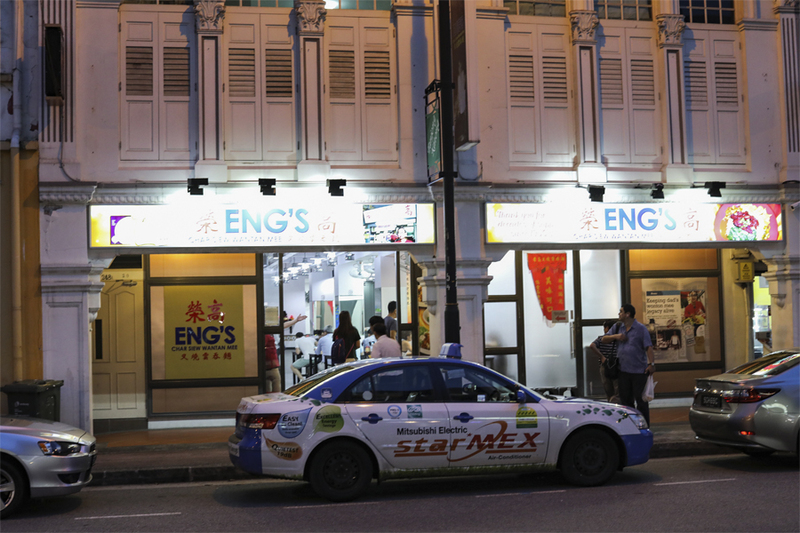 After the founder Mr Ng passed away, there were differences between the business partners, and regulars also complained about bad service. The partners eventually split apart. 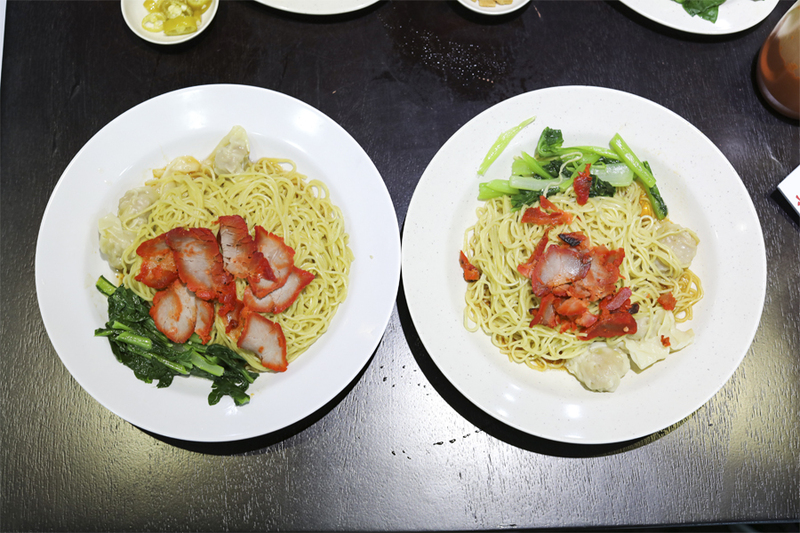 ENG’s Wantan Noodle on 287 Tanjong Katong Road reopened, and is operated under the Lao Huo Tang group (The original business partner transferred the ownership to them). The shop retained some of the previous chef and staff, and also the signature green coloured plates. 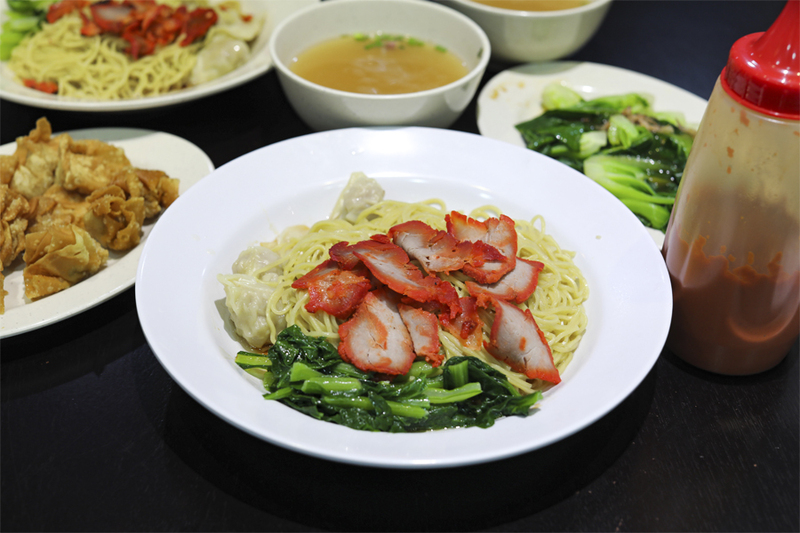 The newer shop – called Eng’s Char Siew Wantan Mee, is operated by the son and two daughters of the founder. 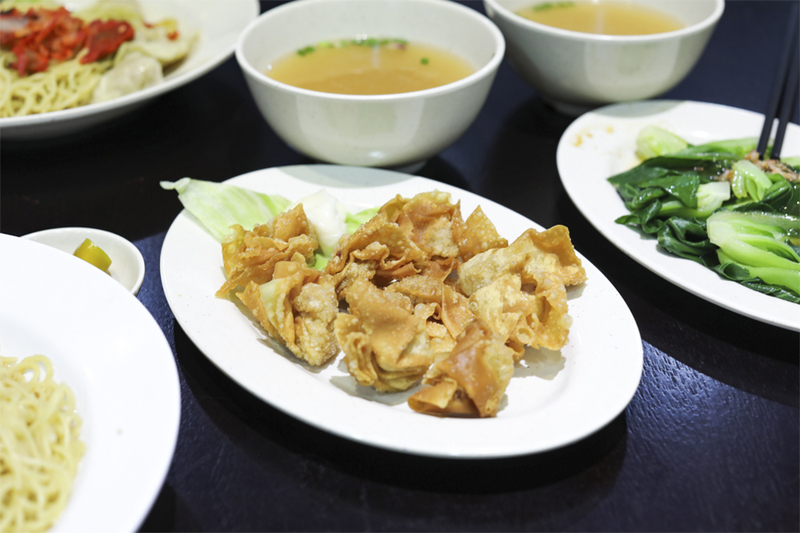 Its menu is the same with the signature Wantan Mee ($4.80, $5.50), Boiled Wantan ($3, $4, $5), Fried Wantan ($3, $4, $5), Boiled Vegetables ($3, $4, $5) and even the furniture, drinks and collection method were similar. Almost a case of déjà vu for me. Except that the plates were white at the newer shop. Wah, service by the Ng sister was friendly and personable, none of that rude service that I read on online forums. Again, perhaps because they are starting afresh. To make things easier, original venue = new business = green plates; new venue = Ng’s children = white plates. I ordered the small and big plate for comparison, but there wasn’t significant differences except with the number of char siew. The new Wanton Mee turned out to be thicker than what I remember, cooked quite al dente and had a floury, chewy bite. My friend commented that there was more sauce used and thus would appeal to those who prefer a more flavourful mix. The soup also tasted different, and felt more diluted. The potent chilli sauce also happened to be spicier, and I would recommend just adding drops first for newcomers. 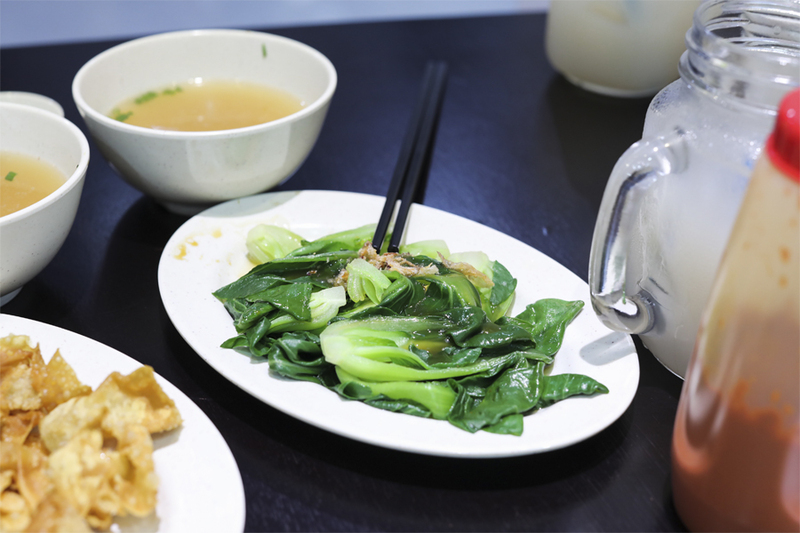 On the other side, the green plated noodles were commented by regulars to be closer to the original recipe, and thus would appeal more to Eng’s fans. Green or white for you? Wrong. The old one is a copycat. Copycats are never good enough. I tried both, one after another. The latest one is definitely the original one. Opened by the son of Eng. Noodles are crunchier, char siew is leaner, vegetables are generous, chilli more compatible, soup’s flavour is more original. I eat both Eng wanton Mee. Green plate and white plate. I love both very much. 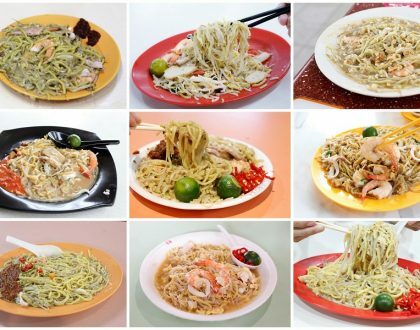 The difference is white plate have more char Siew and noodles. Chilli is also spicier. 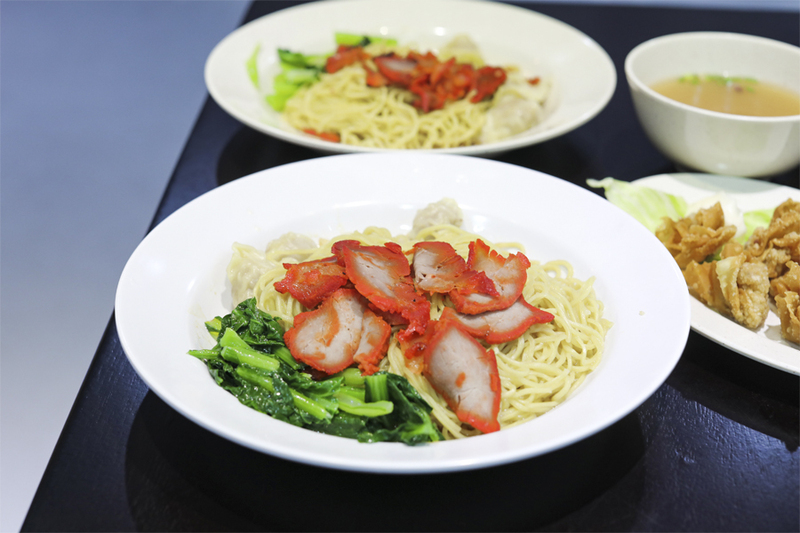 Green plate have less char Siew and noodles. Green plate also is heavier on their msg. White plate now have Ngor Hiang and crispy chicken mid joint wings perfect for group dining. Overall both are very good.